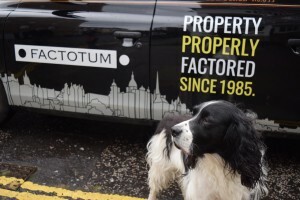 Factotum are experienced letting agents for short term, long term, holiday and festival lets. For Landlords, whether you want to let your property for a week or a year we have a growing number of prospective tenants waiting to move in. 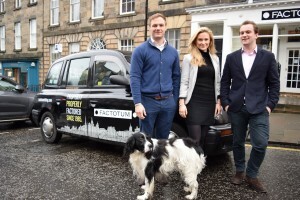 Factotum’s experience and knowledge takes the worry and hassle out of letting your property. From dealing with the burden of the latest regulations and complexity of compliance, to arranging cleaners, maintenance or upgrades – Factotum can handle everything. Open seven days a week during the festival period, we’re always on hand to sort any issue. Unlike other letting agents, Factotum do not insist on sole agency agreements. We believe that the proof is in the pudding, and by not committing to a sole agency agreement we can work hard to secure lets for our landlords while still giving them the flexibility to arrange private lets or advertise through additional agents. There are benefits to renting your property short or long term. Factotum’s flexible approach allows you to rent when it suits you. Not all letting agents offer short term or festival lets. By offering a range of options, we allow you to maximise your property’s income by augmenting long term lets with short term and festival lets. We have a team of experienced and dedicated property managers who each manage a portfolio, so you deal with the same people who know you and are familiar with your property. In addition to each property we manage being showcased on our website, Factotum’s site has a unique Account facility that allows landlords to log in and see everything that Factotum are arranging for their property. This includes a full history of events as they occur in real time, income statements and any maintenance that has taken place. Landlords can edit their property’s online profile and update the availability calendar to make sure the latest information is displayed to potential tenants. Factotum has a wealth of knowledge when it comes to selecting properties for maximum return. With our no obligation rental valuation and advice service, we can help you to build your Edinburgh property portfolio. Because Factotum not only handle letting, but also property maintenance and factoring, we can manage every aspect of your property. From a leaking tap to a full refurbishment or insurance, we take care of everything. Factotum can help overseas landlords comply with UK tax laws associated with property rental through the Non-Resident Landlord Scheme.